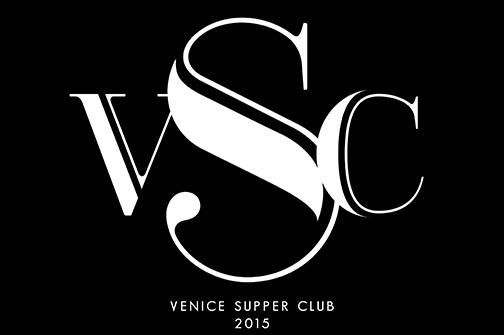 The Venice Supper Club is a platform for talents and a venue for guest chefs, featured performers and spontaneous artistic contributions. Our collaborators are a collection of free thinkers who transport guests to a realm of imagination and fantasy through artistic innovation, live performances, themed costume parties and integrated branding. Chef Samuel Monsour is a pop-up veteran and media darling whose passion lies in recreating classic American fare. 2015 ushered in his first cookbook release, a James Beard house dinner and appearances on Food network, Hallmark, Travel and Bravo. The Venice Supper Club began collaborating with sammy after a clandestine week together in the Cirque Gitane camp at Burning Man where he created meals for 100 Gypsies, 3 times a day, in the harshest conditions imaginable. This is one serious Chef with wicked style and wit. An elegant and avant garde troupe of dancers and performers led by Kaya, Master of the House. Creating surreal environments and experiences through costume, performance and creative direction dripping with sensuality, each experience with the House of Kaya is completely different. Magical markings and spontaneous creativity are what happens when artist Amir Magal brings his seductive signature body art to an evening. Always an incredible addition to any event, guests delightfully submit themselves to his magic and take a bit of the night home when he leaves his mark.